Banks have underperformed since 2007 and against some sectors, for even longer but now, they are starting turn around, at least relative to some other sectors. With my moving average crossover method, I look for prices or pairs without a moving average crossover for four years. I also look for divergence on the MACD and supporting evidence from other methods. These exist for the banks. 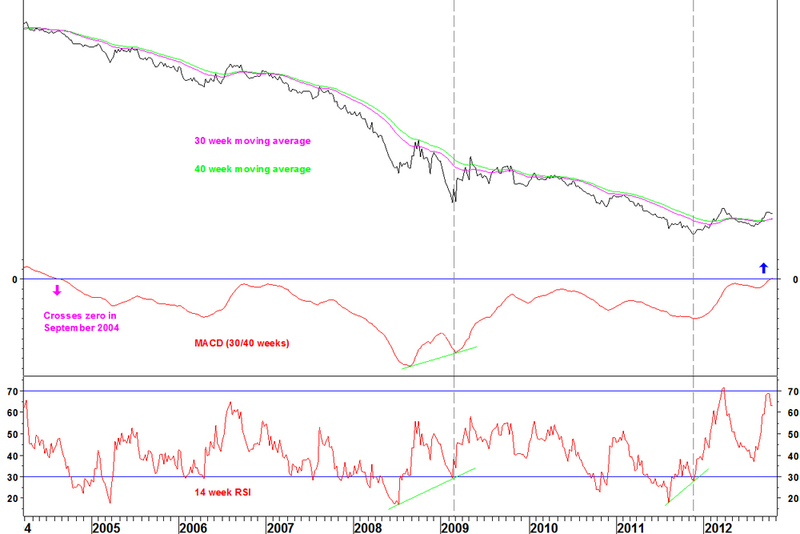 The 30 and 40 week moving averages last crossed in September 2004! A similar moving average cross has occurred against the S&P Industrial Machinery Index and crosses appear imminent against consumer discretionary sector indices.